Diego is a world renown composer, music sound designer and performer. 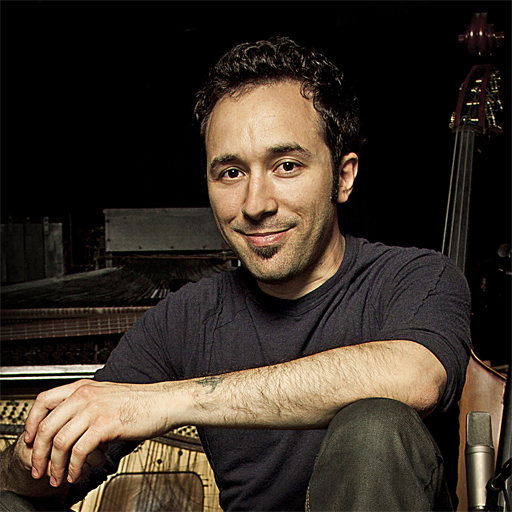 He creates eclectic compositions using custom-built instruments, common objects, elements of nature and experimental recording techniques. Born in Rovigo, Italy in 1976. Diego discovered music at the age of 6 when his parents –hoping to calm him down– gave him his first electronic keyboard. That plan seems to have backfired as he has gone on to become a very active, prolific and influential sound designer in music and film. Diego is one of the principal creative sound designers for the multi Award winning Spectrasonics virtual instruments AtmosphereTM, StylusTM RMX, Omnisphere® and Omnisphere® 2. And, his sound design has been featured on the scores of dozens of feature films, video games, tv shows, records and live shows. He composed the original score for the feature film “Chernobyl Diaries” and is a featured soloist on several other features films and video games such as “Sherlock Holmes”, “Assassin’s Creed Brotherhood” and Assassin’s Creed Revelations. He has also worked as a music sound designer on numerous projects, including the films “Immortals”, “Takers”, “Into the Blue”, “Crank”, tv shows “The Tudors” and “Moonlight”. Diego also created the score for the video game “The Conduit”. Diego publishes an advanced series of educational contents called “Feed Forward Sounds” and lectures at the prestigious Berklee College of Music in Boston and FIDM in Los Angeles, sharing his unique approach and techniques with their students. 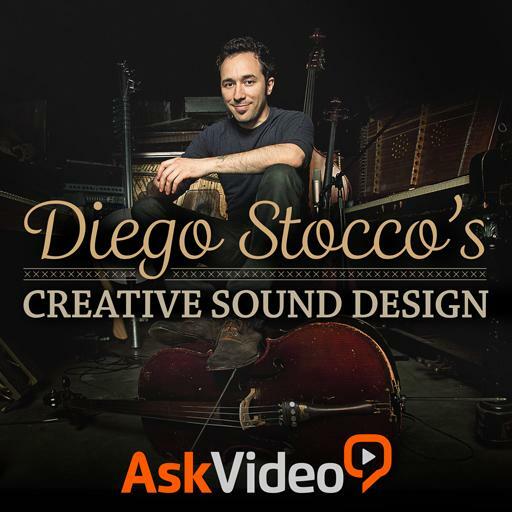 We are thrilled to bring Diego Stocco and his captivating sound design videos to our members… we know that you’ll be inspired! Awesome tutorial! Diego, you are true inventor! This is a great course for expanding your musical arsenal by expanding the way sounds are created. Diego Stocco does a great job of explaining how to create different sounds via micing technique and use of filtering to create otherworldly atmospheres. He opens the possibilities for new ways to create percussion and rhythm in innovative ways. Fun stuff! This guy is a genius! Amazing and very recommendable course to open up (and blow) your mind. I didn´t give 5 stars because everything is a bit quick explained, as an overview instead of a in-deep tutorial. But well, I guess Diego wants us to experiment ourselves instead of copying him. Watch it right now! A nice, well-presented course with fun and innovative ideas for sound design. Really interesting processing techniques that can be applied to any sound in your library. A great course. Diego has a passion for what he does and this comes through. Lots of great ideas to help you break away from the more common techniques. It has given me a drive to get experimenting with different ways of recording, processing and gathering sounds. As Diego would say, it all starts with your imagination. Very inspiring tutorial ! Really enjoed by watching it. Nothing compare with it, just genial ideas for recording your own created sounds. Big thanx!